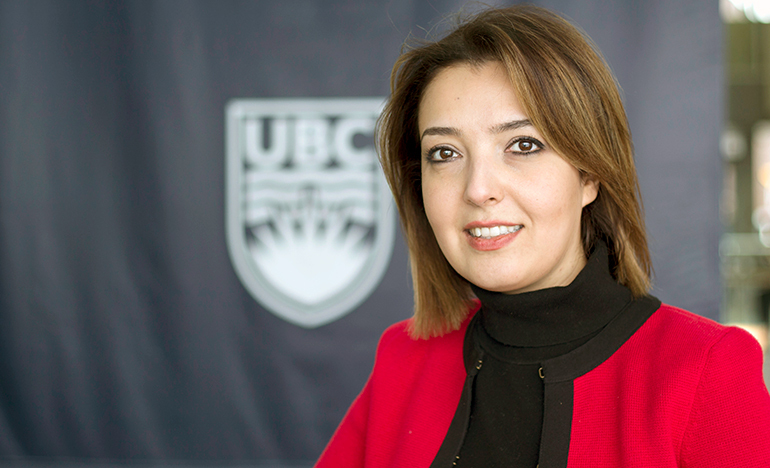 Sepideh Pakpour, assistant professor with UBC Okanagan's School of Engineering. Sepideh Pakpour, an assistant professor at the School of Engineering, says nanotechnologies can help address drug addiction by identifying the most at-risk individuals—those who are physiologically predisposed to be affected by opioids—and help develop new therapeutic targets and personalize appropriate treatments. “Owing to the unique and diverse properties of nanotechnologies, they offer enormous opportunities when it comes to innovative scientific approaches to understanding addiction,” Pakpour says. Nanotechnologies are extremely small devices that can do anything from monitoring neurotransmitters in the brain to enabling more sensitive drug testing and blood plasma monitoring. Pakpour explains nanotechnologies have already found widespread applications within life sciences including targeted delivery of therapeutic biomolecules, contrast agents to monitor cancer cells and tumour binderies, hyperthermia, immunotherapies, and tissue engineering applications. However, their potential applications for opioid abuse diagnostics, drug detoxification, opioid dependence and addiction treatment remains untapped. According to the new research, the speed and accuracy of nanotechnologies can result in a more effective approach in drug development and identification, along with better screening of patients who may be vulnerable to addiction. Theoretically, Pakpour says, nanotechnologies can enable researchers to improve their understanding of multiple addiction variables at the molecular level. With an interdisciplinary research background, Pakpour’s work bridges biology with engineering and her research group models how human microbiome interactions impact disease. “With the help of funding agencies together with collaborations between nanomedicine, human microbiome and drug-abuse experts, we believe that nanotechnologies will provide a unique capacity for both predictive and therapeutic approaches in opioid dependency and addiction in the foreseeable future,” she adds. The research was recently published in ACS Chemical Neuroscience.